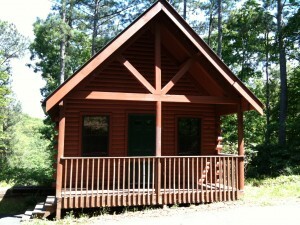 My cabin at the Big Nerd Ranch. Hopefully, I will continue to improve the content of this site in the months to come. To that end—among others—I’m at the Big Nerd Ranch in Atlanta, Georgia for their Advanced Mac OS X Programming course this week. I’m very excited and hope to learn as much as I can possibly fit into my brain.